We check out of our hotel and stop at a little boulangerie (bakery) across the street to get some croissants for breakfast. They were life changing! Best. Croissants. Ever. EVER! Soft and buttery on the inside, flaky and crunchy on the outside, and absolutely divinely fresh! We arrive in Bourg-en-Bresse just before 12:00 and check into the hotel. It seems we unwittingly booked two hotels in the same franchise and are really happy with being assured of clean rooms and decent service, though this room is even smaller than our hotel room in Annecy was (didn’t really think that was possible, but hey!). 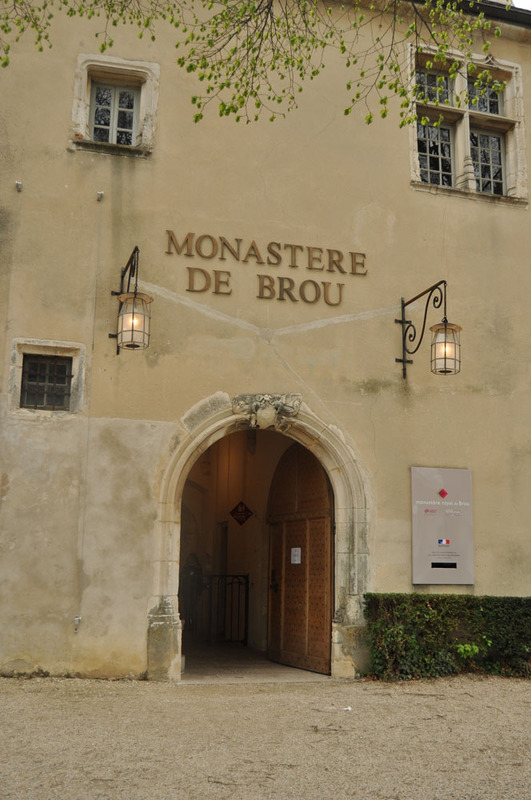 After checking in, we head out to view the only point of interest we could find in Bourg-en-Bresse: The Royal Monastery of Brou. We arrive to find the doors closed, together with the rest of the town it would seem. We’ve forgotten about the fact that everyone packs up shop between 12:00 and 14:00; one can’t even find an open coffee shop to have something to drink in while we wait! We decide to wait in the car while we watch the weather closing in again. The wind picks up and a bride and groom arrive, with photographer and yards of white dress in tow for some pre-ceremony photos. Nothing else of interest happens, and I eventually fall asleep in the driver’s seat. Finally when the doors open at 14:00 we get inside. 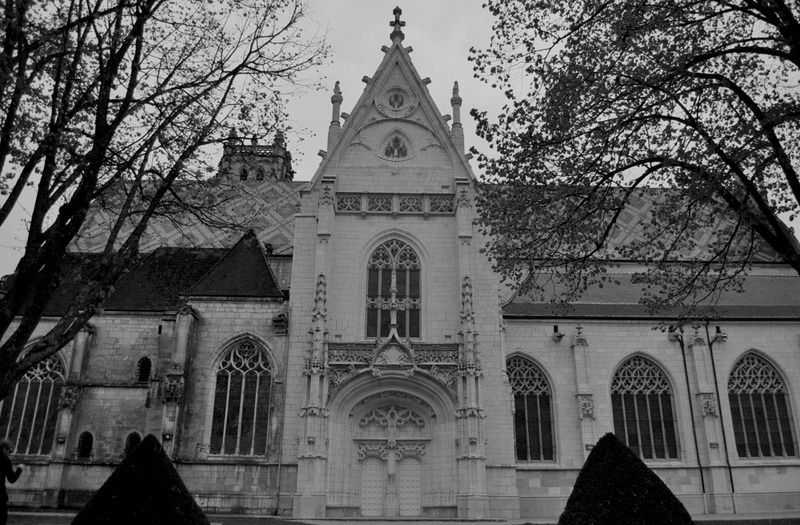 The monastery has amazing Gothic architecture and intricate carvings. Sadly, no photos are allowed inside. Overall the churches in France have been less impressive than their counterparts in Italy, though it seems that the focus is more on the architecture and design than paintings, sculptures and frescoes. 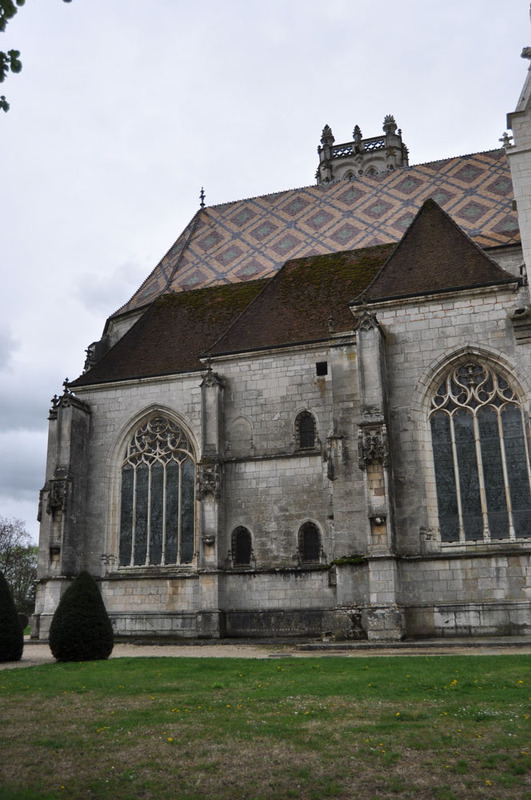 The monastery is famous for it’s multicolor tiled roof. Upon returning to the hotel at a decent hour for once (we may be getting used to this “the sun only sets at 22:30 at night” thing), I decide it’s past time we found a laundromat and get some clean clothing. This seems more trouble than I’d anticipated, as neither the guide, Google Maps or our GPS can find one (searched for in English and French). Luckily the concierge is able to help, and he points us to the only laundromat in town. It takes us a while to figure out how to get the machines to work, and luckily we’re not the only tourists completely dumbfounded by the all-French instructions. Eventually the washer fills up with what seems to be soapy water, and after about an hour and a half we return to the hotel with semi-dry clothes. We spread them out all over the tiny room, leaving a little space to wiggle under the bed-covers and sit up reading while it rains again outside. Tomorrow we’ll pack up and spend a lazy Sunday in Lyon, before leaving for Paris on Monday. 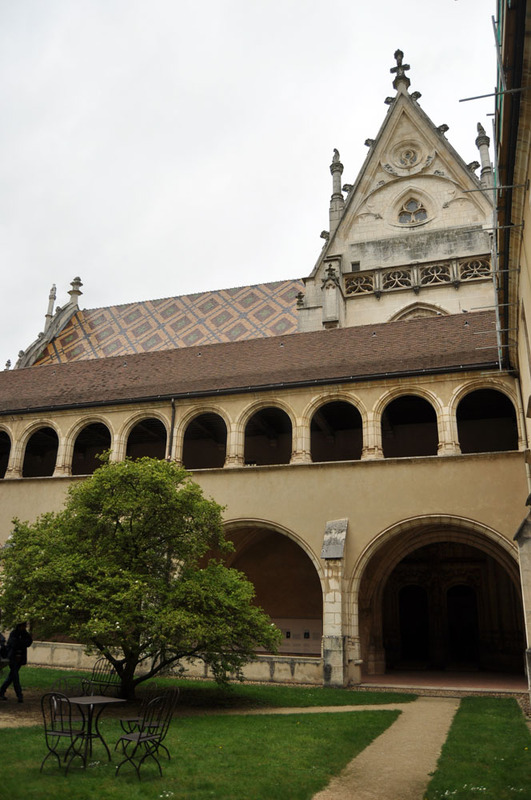 Continues in part 10 with our stay in Lyon, France.